Did you know that creamed honey is known as la crème de la crème? Oftentimes, creamed honey is sold at a premium price due to its thickness, unique taste and aroma, and nutritional benefits. Many parents enjoy creamed honey because its thickness prevents spills and messes in the kitchen; in addition, creamed honey makes the perfect breakfast or snack for children. Creamed honey is just as nutritious as liquid honey. Many people are surprised to hear that creamed honey is equally as nutritious as liquid honey. There’s no difference in health benefits, quality, or antibiotic value. The only difference is that creamed honey has a thick and full-bodied texture compared to liquid honey. In addition, creamed honey is less messy than liquid honey, which is perfect as a breakfast treat or afternoon snack for your kids. Creamed honey comes from a variety of beekeepers. The delicious, rich, and thick creamed honey comes from an assortment of organic beekeepers across the United States, Canada, South America, and New Zealand. Although creamed honey sells at a higher price than liquid honey, it’s the worth the extra dollars! Creamed honey is incredibly thick, rich tasting, smooth, and easily spreadable; you can spread creamed honey on toasted bread for breakfast, or on apples and pears for an afternoon snack. Creamed honey isn’t the same as whipped honey. Many people think that creamed honey is whipped liquid honey, like butter; however, this is just a misconception. Creamed honey is crystallized, not whipped. If you whip liquid honey, it’s actually dangerous and can possibly introduce moisture and bacteria in the mix. 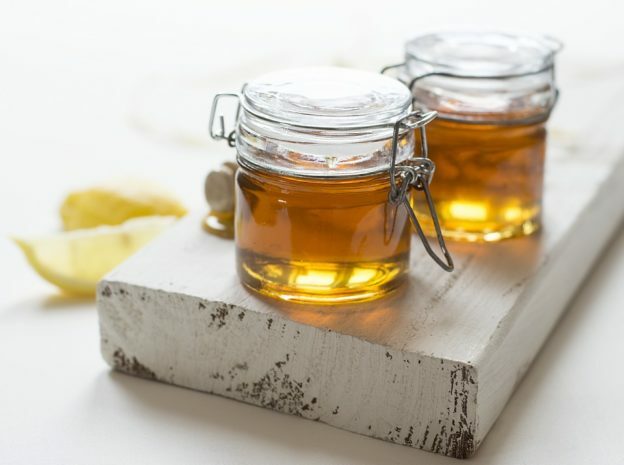 Whipping liquid honey will also not produce the thick, rich quality of creamed honey. In the future, be wary of recipes that call for whipped honey. At Finest English Teas, we pride ourselves in producing top quality honey and delicious teas for everyone. For more information on our honey and teas, please visit finestenglishteas.com. This entry was posted in Uncategorized and tagged Why We Love Creamed Honey on 12/29/2017 by Andrew S..